Following Microsoft buying Nokia's smartphone unit last year, it was safe to assume that the new owner would be killing off the parts it didn't want. And now it seems that Nokia's ebookstore is on the chopping block. My Nokia Blog is reporting that Nokia sent out an email this week to users of the Nokia Reading app, sharing the bad news that the store will shut down on 31 December. The email is embedded at the end of this post. Any currently installed app with downloaded ebooks will continue to function after that date, but readers will no longer be able to download ebooks. And should the app be removed in an update or a firmware reset, readers will lose access to all of the content they had purchased. In a way, this move should come as no surprise; the app hadn't seen a major update since 2012. But it is still disappointing that yet another tech company is blithely walking away from a service. If you are a former customer of one of those stores and would like to do something about the losses you have suffered, please leave a comment or send me an email. I can't say for sure at this time, but there is a chance that an FTC complaint could be filed against one or more of those companies concerning the harm done to consumers. But before that happens, we first have to line up consumers who were harmed. We are letting you know that the Nokia Reading app has reached maturity. The Nokia Reading app will be discontinued by 31st December 2014. Up until 31st December 2014, you will be able to purchase new books and to access previously purchased books from the Nokia Reading archive. News Streams will no longer be accessible. You can still read books you have bought from the Nokia Reading bookstore by simply downloading the books from the Archive in ‘My Books’ before 31st December 2014. You can keep ebooks on the phone for as long as you like. The same applies for audio books purchased via Nokia Reading. We apologise for any inconvenience this may cause. If you have any further questions, please see our FAQs. Q: Why is the Nokia Reading service being discontinued? A: The service has reached maturity, and we have decided that it should no longer be available for download. We have taken this decision knowing that there are many other eReading apps, such as Kindle and Audible available in the Microsoft Store. Q: Will I still be able to access the books I purchased from the Nokia Reading service on my Lumia device after the service is discontinued? download the ones you wish to have on your device. Please note that if you delete the Nokia Reading application or reset your phone so all applications are removed, you will not be able to re-download the application or access any books you purchased. Q: What will happen to my books in my archived collection after the service is discontinued? A: You will not be able to re-download any books in the archive collection after the service is discontinued. We recommend downloading them onto your device before the service is discontinued to avoid losing any titles you have paid for. 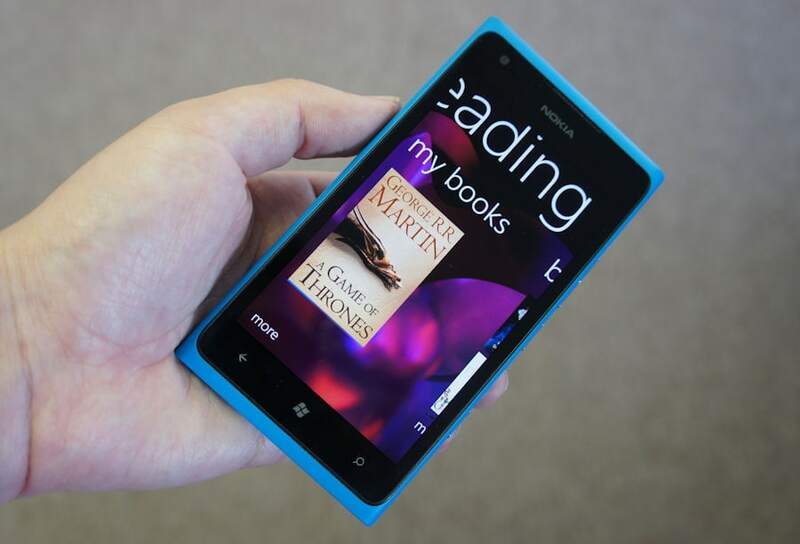 Q: Can I still download the Nokia Reading application from the store onto my Lumia device? A: This application is no longer available for download from the store for Lumia devices. Please note that if you delete the Nokia Reading application or reset your phone so all applications are removed, you will not be able to re-download the application or access any books you purchased. Q: Can I store the files on memory outside of my phone? A: No. In order for the files to be accessible, they will need to be stored in the app itself. Q: Will I still be able to purchase from the Nokia Reading books store after the service is discontinued? A: No. The book store will no-longer be available after the service is discontinued. Q: What about my personal data? A: Data specific to Nokia Reading will be deleted. Your Nokia Account will remain active however, and data associated with this – including your credit card information – will continue to be stored securely by Nokia. Q: I like reading on my phone! Where can I buy books to read? A: There are many other eReading apps, such as Kindle and Audible (audio books) available in the Microsoft Store. Shouldn’t there be some kind of dividend then? Hasn’t Microsoft some partnership with B&N? Why do they only hint their customers to amazon services? Microsoft owns a chunk of Nook Media, yes. But I doubt that detail occurred to whoever wrote that FAQ. Wait, Nokia had a reading app? — and a bookstore? Really?